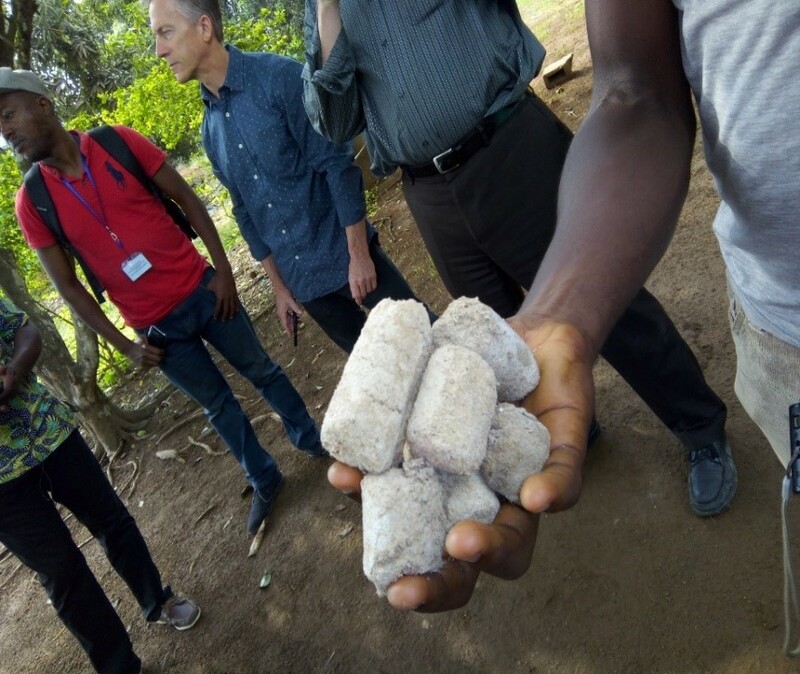 Alain Serges Kouadio and Tim Woods report on a major low emission development project that is boosting energy access in Côte d’Ivoire by using many parts of the rice plant to create bioenergy. Côte d’Ivoire’s Intended Nationally Determined Contribution (INDC) and its accompanying National Strategy for Combating Climate Change 2015-2020 have a clear message: the country intends to move beyond an economy based on natural resources and industrialise – but also reduce its carbon footprint by “favouring mitigation options with high co-benefits”. One project, coordinated by ANADER, is a sustainable agriculture initiative to explore the production of organic fertiliser and clean energy from agricultural waste – specifically rice farming. Rice is grown across Côte d’Ivoire, mainly for local sale and consumption, and this initiative aims to educate and train rice growers in two villages, Tipatipa and Tiétiékou, about agricultural practices that emit fewer greenhouse gases. An early meeting of the project’s steering committee opted to focus on the production of biogas and biofertiliser from rice straws (the stalks left after harvesting). However, an initial study revealed that this was not feasible from a financial perspective. Instead, the project switched to producing fuel briquettes from rice husks (the hard covering of the grains). A production unit for briquettes was established, and research undertaken to compare their emissions – throughout the whole production process – with those of traditional charcoal briquettes made from wood. This was essential: to contribute to Côte d’Ivoire’s commitment to low-emissions pathways, they needed to have a positive net effect on overall emissions. While the rice briquettes offer a promising way to reduce emissions from agricultural waste, there will be little net gain if emissions continue to grow elsewhere in the agriculture sector. Therefore, alongside this waste-recovery initiative, rice farmers in the two villages are being trained in low-emissions agricultural techniques. Through demonstration sites, the project will highlight further potential uses of agricultural waste (e.g. biofertilisers) which can bring further benefits to rice farmers while reducing greenhouse gases. These lower emissions were realised partly because the rice straws are ploughed back into the soil, rather than burned. Further, this technique means less mineral fertiliser is needed, reducing the emissions associated with fertiliser production. Combined with the fuel briquettes, this means that all waste products – straws and husks – can be used in a way that reduces the emissions from rice farming.